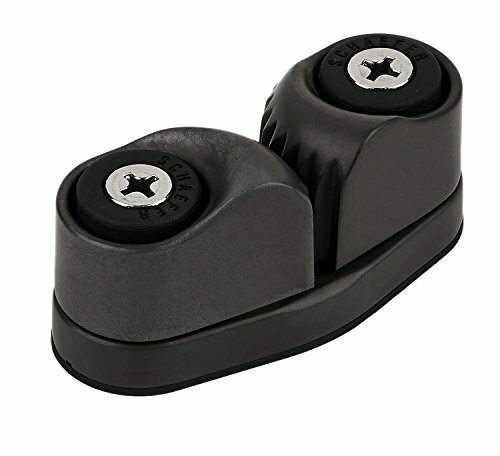 Fast Entry Cam Cleat from Schaefer Marine is the next generation of cam cleats. The double race of Delrin Ball bearings and upper flare on jaws allows for easier engagement of line, over other styles. The cast aluminum jaws will provide years of trouble free line holding, versus plastic cam cleats. Length 3-1/4 inches (82mm), 1-3/8 inches (35mm) Width, 7/8 inches (22mm) Height. If you have any questions about this product by Schaefer, contact us by completing and submitting the form below. If you are looking for a specif part number, please include it with your message.